Call of Duty: Black Ops IIII Confirmed... By James Harden? | Nerd Much? The rumors that Black Ops 4 is the next Call of Duty are now helped along by Kotaku’s sources and a Tweet from James Harden wearing the official Black Ops IIII logo. Harden, an NBA player, is shown on his way to tonight’s game against the Oklahoma City Thunder. Most notably, he is wearing a hat with the logo from Black Ops 3, extended by one more I. Some might be wondering why Activision did not go for actual Roman numeral “IV” rather than “IIII”, but this logo has been confirmed by both Eurogamer and Kotaku. It looks like we are stuck with Black Ops IIII. 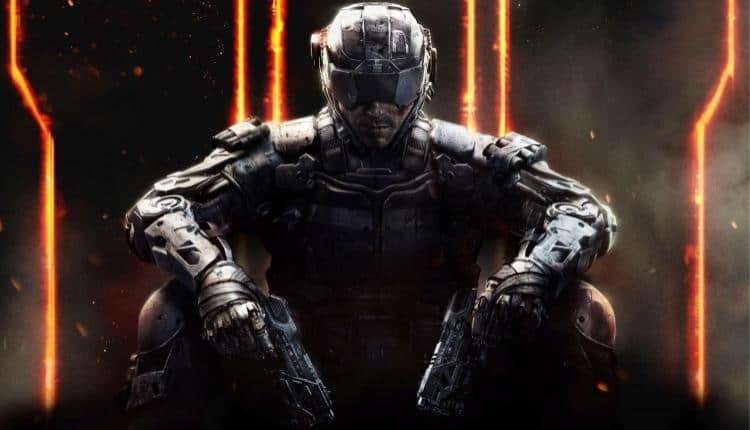 The game will be developed by Treyarch, the studio responsible for all the previous Black Ops games. As far as we know, the game will be set in the near future. Whether that is a wise decision after the notable critique of Infinite (though not a Black Ops game) being that jet-packs were just going too far, is yet unknown. Perhaps after the success of WWII, Call of Duty fans are more willing to try that alternate future again. Who knows – maybe we will see fewer jet-packs and more exciting gadgets that make gameplay more dynamic. For example, solutions to combat problems could be left up to the player rather than railroaded in. As to Harden’s involvement, Kotaku has been unable to confirm whether he will be in the game at all. It could very well be that Harden is hoping to stoke the hype fire and get it roaring before Activision officially announces the title. Whether we will see this announcement before E3 this year is difficult to guess. Ever since E3 has been more open to the public, many companies participating in the event have opted out of saving their best titles for the summer. For them, it makes more sense to operate outside of an E3 schedule, giving their marketing departments more control over what information goes out when. Nonetheless, we will have to wait a few more months before we can be sure. You can pre-order Call of Duty: Black Ops 4 on Amazon or at Gamestop.